Morning routines. I wake up, shower; maybe turn on the local news. 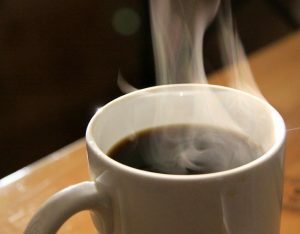 I pour myself a cup of coffee, as I high five myself for remembering to prep the machine last night – what’s better than waking up to a fresh pot of coffee? I grab my phone and scroll through Facebook with my first, then second cup of coffee. At the same time, I wonder why I have to do this morning ritual of checking Facebook. Somehow, it really has become a habit. I suppose at first it was a great way to re-connect with old friends, or even discover family members that you either lost touch with, or didn’t know you had. However; it seems like nowadays it has become a place where you end up comparing yourself to other people. Comparison. Whether we mean to or not, we are using social media to boost our self-image. We post pretty pictures of our family, our pets, or our home. Why not? Everyone else is. Sometimes when I see someone else posting about their child’s great accomplishment, or a fun family trip or just a great photo, I’m happy for them – I hit that “like” button. But that insecure part of me thinks, how can I top this? How can I show everyone else that my life is great too. But why? Life isn’t a competition. Maybe we all just need to be the best we can be and be that for ourselves. But what if comparison is something that inspires us to be the best we can be? Maybe comparing ourselves to other people helps us strive for success or happiness. We all have a need, some greater than others, to impress people. At Gehman Design Remodeling, we also have a need to impress and to please… but for us, it’s our clients that we want to impress and please. If you decide to remodel your home with us, we want you to look at our work and be proud of your home. Our hope and our goal is for you to show it off however you choose to… by inviting over friends, by simply sitting back and relaxing in your new room, or maybe even posting pictures on social media… go on, we know you want to. The underlying need to compare ourselves to other people, or our belongings to theirs will always be part of human nature. But we can’t let that rule our lives. I think the next time I log on to Facebook with my morning cup of coffee (prepped the night before of course), I will just be happy for my friends… for whatever it is they have making them happy – their kids, their most recent adventure, or maybe… their newly remodeled home!